The ruggedness of the Unitech HT630 boosts high productivity and guarantees the investment for Enterprise Users. The HT630 provides out-of-the-box functionality via five ready-made common applications. The flexible modular design including barcode reading and keypad input makes the HT630 a perfect multi-functional mobile computer for most data collection applications. 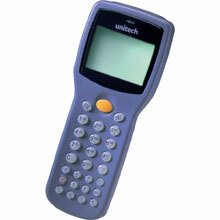 The Unitech HT630-9000CA1G is also known as UNI-HT630-9000CA1G	or HT6309000CA1G	.